Being in a toxic relationship would make anyone wary of love. A narcissistic partner can make you believe that everybody will treat you the same way that they do. Understandably, you can become so scared of relationships and of meeting someone new, even when you’ve left your toxic partner. There is a silver lining, however. When you finally find a kind, compassionate person to love, you’ll get to experience a whole new level of love. Here are 9 things that happen when you fall in love again after leaving a narcissist. After the hell you’ve been through, you’ve put up a barrier between you and everyone else. Naturally, you approach people with a lot more caution than you once did. It may be extremely hard for you to place your trust in your new partner in the beginning. Your narcissistic ex always treated you like trash. Because of that, that’s now the kind of treatment that you expect from everyone. Thankfully though, you’ll find that your new love interest will treat you so much better than the one before. Before now, you weren’t allowed to have a voice. 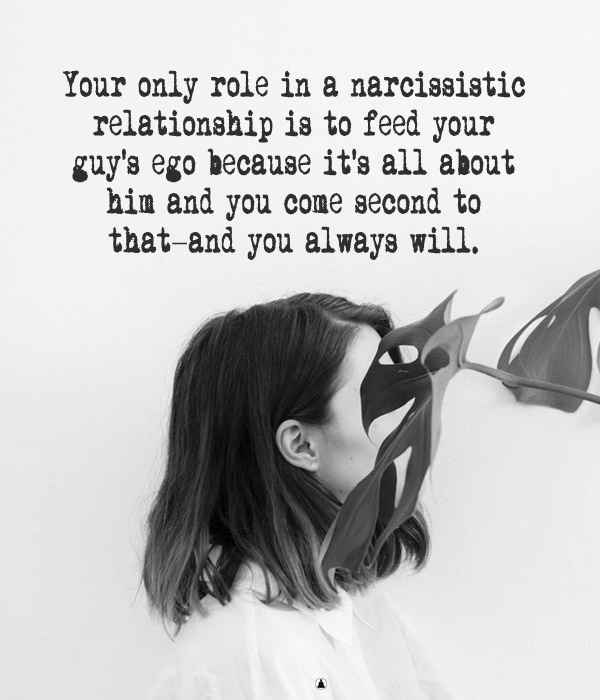 Everything was about what your narcissistic partner thought and never about you. Now, you’ll be able to give your opinion and have your significant other really take it into consideration. When they mess up, they won’t try to blame it on you. Instead, they’ll own up to their wrongdoings and try to make it right again. Most importantly, they’ll tell you that they’re sorry and they’ll mean it. At the start of your new relationship, you’ll find it hard to shake off the guilt that you’re so used to feeling. Despite that, your new love will do everything that they can to make you feel comfortable. With time you’ll be able to stop feeling so much guilt when you haven’t done anything wrong. Fear and apprehension are only natural after going through such a toxic relationship. You’ve been burned before, and you don’t want it to happen again. More than likely, you’ll try to push your new partner away. If they love you enough though, they won’t let you. It’s going to take a lot of time and a whole lot more patience, but you will relax into this relationship. Eventually, you’ll allow you barriers to fall and let the person that you love be a bigger part of your life. You felt love before, but real love can never blossom in an abusive situation. With your new relationship, you’ll begin to experience a new and beautiful love that you could have never imagined before. Time heals all wounds, but that time can be sped up when you’re with someone who really cares about you. Your significant other is going to help you to move on from your past. The way that they do this will simply be by loving you and showing you the respect and support that you deserve. Like everything in life, there will be ups and downs in your new relationship. Sometimes you’ll be terrified because of the emotional scars that your previous relationship gave you. For the most part, however, you’ll be able to have real love with someone who truly cares about you. Share this article with someone who’s broken off a relationship with a narcissist. They need to know that there is hope for finding someone amazing.